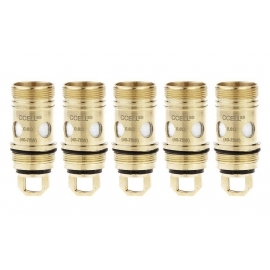 Vapor King E-cigarette coils are an essential for maintaining your vape experience, that is if you won't your machines to work. 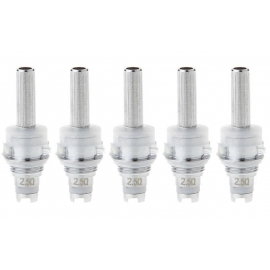 Our E cigarette coils are from genuine manufacturers of Joyetech, Smoktech, Kangertech, eleaf, Evod and Vaporesso. E cigarette Coils There are 22 products. 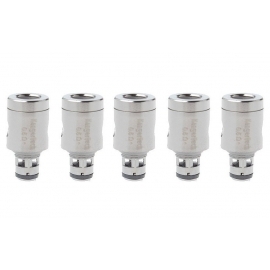 Joyetech BF Cubis Coil 5 Pack are replacement coils for your Cubis Tank. Made from high quality steel, which keeps your machine from overheating and lessens replacement of your coils. Great product for your Joyetech Cubis Tank, customer satisfaction guaranteed. 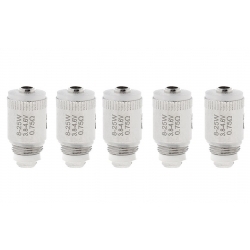 Joyetech eGo ONE V2 Coil Head 5 Pack are replacement coils for your eGo Tank. Made from high quality steel, which keeps your machine from overheating and lessens replacement of your coils. Great product for your Joyetech eGo ONE Tank, customer satisfaction guaranteed. 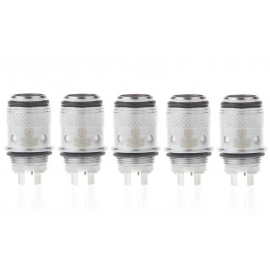 Eleaf MELO ES Coil Head 5 Pack is consisted of sextuple kanthal coils and is compatible with VW, Bypass and Smart modes. 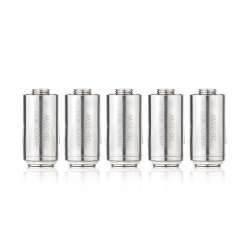 It is rated at an ultra high power range of 100-300W, enabling an awesome vaping experience with huge vapor production. 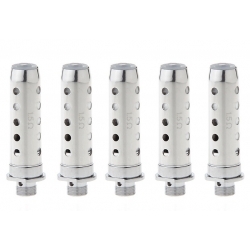 Vaporesso Ceramic cCELL Coil Head 5 Pack 0.6oHm are for Vaporesso Target Pro Clearomizers. Made from high quality material, giving you better and smoother flavour. 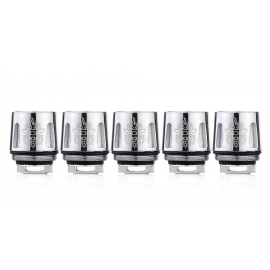 These are the original coils made by Vaporesso, so you know your purchasing the original part for your machine. 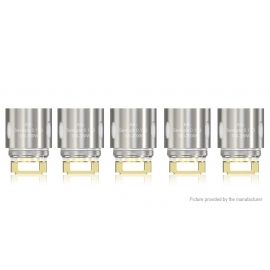 The Innokin Endura T18 Coils 1.5 ohm (5 Pack) is a pack of five replacement coils for the Prism tank used in the Endura T18 Starter Kit. 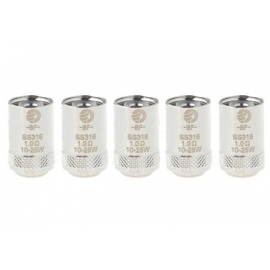 The coils have a resistance of 1.5 ohm and include Japanese organic cotton. Made with a stainless steel casing, the ​Slipstream replacement coils use ​stainless steel wire, ​and ​wicked with pure Japanese Organic Cotton for a much cleaner taste and a smooth vape experience!